As we get older, we all develop “changes” in our spines. Studies have shown that about 30% of completely pain-free (asymptomatic) people undergoing a lumbar MRI have abnormalities detected. After the age of 60 years old, about 90% of people have at least a “degenerative disc”. Low back pain is one of the most common diseases in the United States. 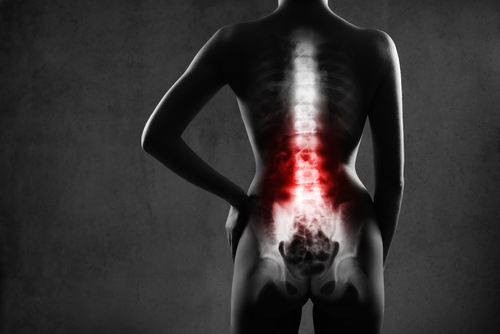 Low back and leg pain can be caused by a spine problem such as a bone spur or disc herniation, but can also be caused by hip problems, pelvic problems, kidney problems, muscle problems or unknown reasons. Regardless of the cause, the vast majority of people get better with just rest, time and over-the-counter medicines. While we try to limit ordering MRIs on everyone with low back or leg pain until the symptoms are persistent for weeks to months, conservative options such as physical therapy have failed or weakness/ numbness develops, many people have MRIs. It’s pretty common nowadays for patients to receive their MRI report and most people read these reports and try to understand what is wrong. With the ease of internet access, self diagnosis is very common. What’s important to remember is that the report is made by a radiologist (a physician specifically trained to review these images) who legally must report everything observed. The radiologist makes this report often without any consideration of patient’s symptoms. Therefore the MRI report may mention many different findings or abnormalities, making patients feel like everything is wrong with their spine. However all, none or some of these findings may explain your symptoms. Additionally, the severity of findings is very subjective and may differ between physicians. 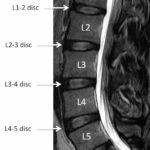 It’s imperative that you discuss the MRI report with a spine specialist to see which, if any, of these findings are important and need to be addressed. 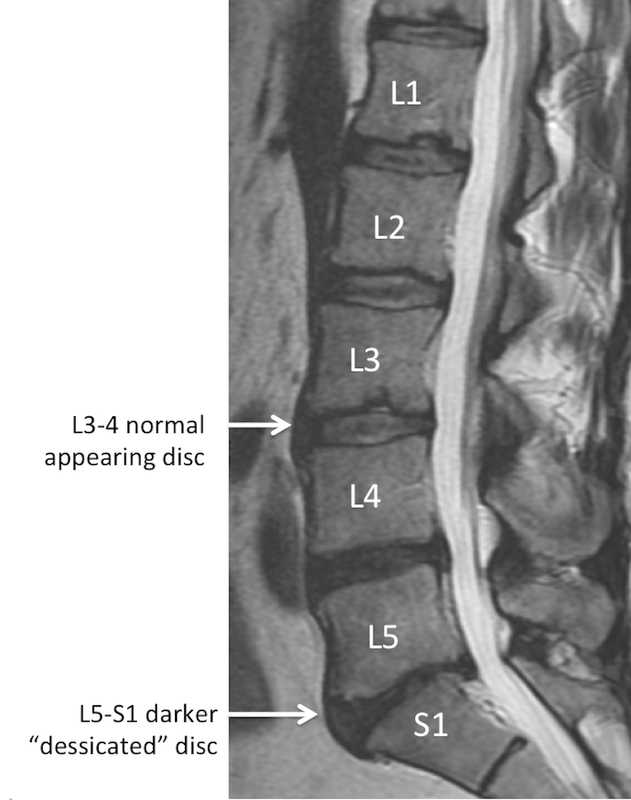 The spine specialist should review the actual images with you and answer any questions you have about your report. If surgery eventually is required, surgery is intended to only fix the issues causing the symptoms and not to make your spine or MRI look perfect. 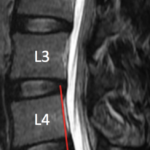 Before deciphering the abnormalities listed in the lumbar MRI report, its important to understand the normal anatomy. The lumbar spine consists of bones (usually 5 vertebral bodies) stacked on top of each other and separated by 5 discs. The vertebral bodies are usually labeled 1 through 5, and the discs are named by the bones above and below. 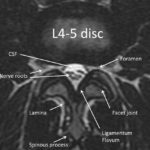 Therefore the L4 and L5 vertebral bodies are separated by the L4-5 disc. 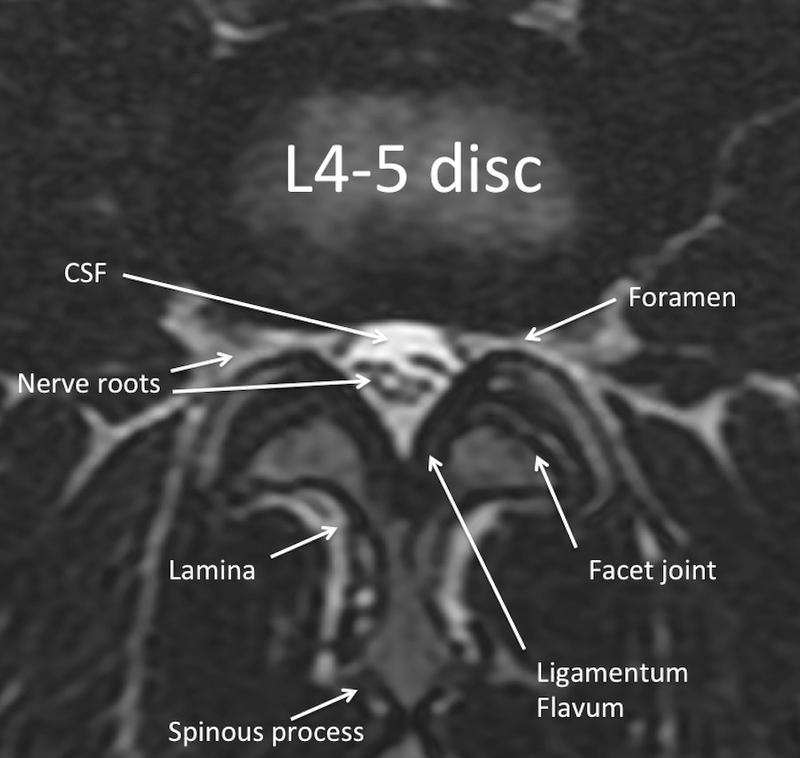 Just below the lumbar spine is the sacrum so the bottom disc is called L5-S1. 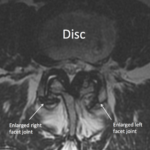 This normal configuration is reported in the MRI report as both sagittal and axial depictions. The sagittal view is a profile picture. The axial view is a cross-section. Just behind the column of bones and discs is the sac which holds the nerves and fluid, called cerebral spinal fluid (CSF). 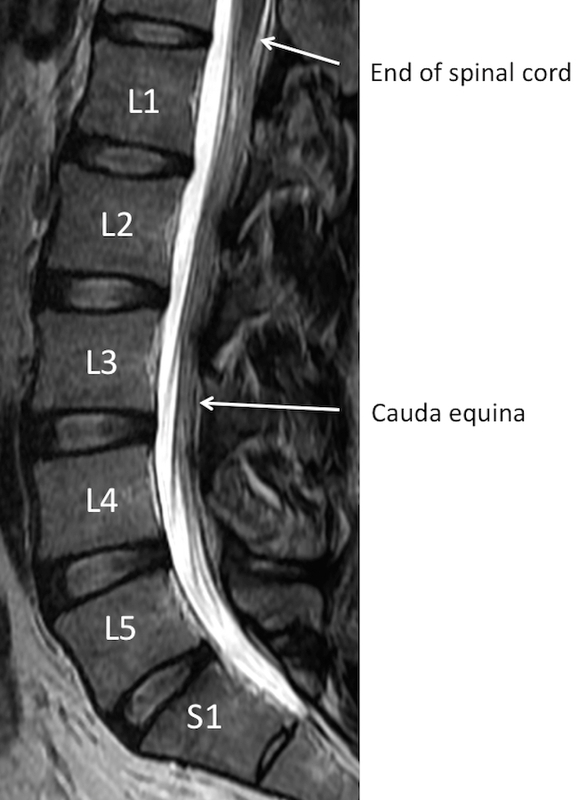 The spinal cord itself ends around the T12-L1 level, but the nerves continue down the lumbar spine as the cauda equina. At each disc level, a nerve exits the spine and goes to a specific region of the leg. The back side of the spine is more bone called the lamina and spinous process. The nerves go to specific regions of the leg. The L1 and L2 nerves tend to go to the groin region. The L3 nerve to the front of the thigh. The L4 nerve to the shin and instep. The L5 nerve to the top of the foot and big toe. The S1 nerve to the outside and bottom of the foot. The disc normally is composed of 2 parts. These are microscopic and cannot exactly be differentiated on an MRI. The central softer part of the disc is the nucleus and the out layer is the annulus. Normally, the annulus holds the nucleus in the center and there is no contact with the nerve roots. As we get older, changes occur naturally in the spine. The discs tend to lose their water content (dessicate). The annulus of the disc may bulge, protrude or extrude. The bones may develop bone spurs (osteophytes). The ligamentum flavum may enlarge (hypertrophy). The facet joints may enlarge (hypertrophy). The bones may slip on one another (subluxation or spondylolisthesis). The result of these changes may narrow the place where the nerve exits the spine (foraminal stenosis). As we get older, changes occur naturally in the spine. These changes may narrow the canal where the nerves reside in the spine (central stenosis). Each of these things may happen and not cause any symptoms. On the other hand, these problems may start pressing on nerves causing pain, weakness or numbness. 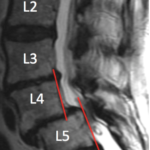 Listed are some commonly occurring changes, which may be described in a lumbar MRI report. 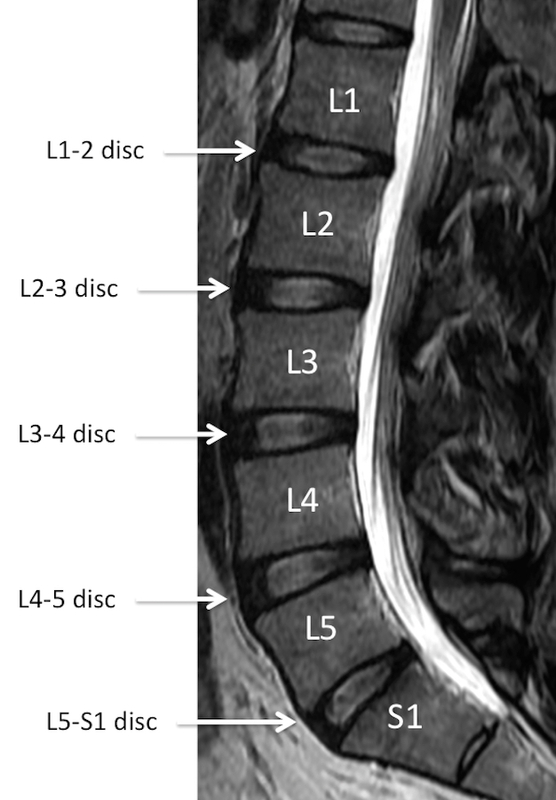 The most common levels affected at L4-5 and L5-S1 as these are the most mobile levels in the lumbar spine. Disc Bulge, Protrusion, Extrusion, etc. This term is very broad and can be used to describe any arthritis in the spine. Also called “loss of disc height”. Disc dessication is a nonspecific term which describes natural “aging” of the discs. When we are young, the discs have a lot of water or cushioning in them. 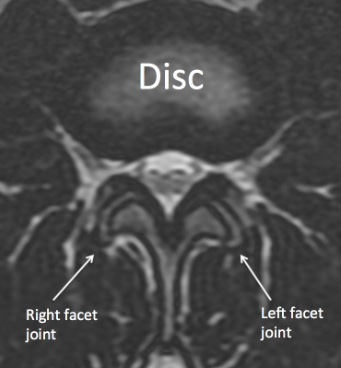 As we get older, the disc naturally loses the water and essentially shrinks. This can lead to “narrowing of the disc space” or “bone on bone” changes, however this occurs in every person and this is not necessarily a cause of any symptoms. These terms are variations of the same concept. Typically a bulge just means the annulus is weaker and deviates towards the nerve sac. Bulges/herniations are extremely common and rarely cause any pain or symptoms. Many people have them at multiple levels in their spine. 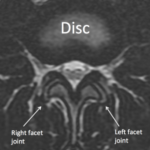 Protrusion are a slight progression in which the disc now MAY press into a nerve. 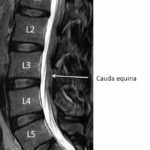 An extrusion or sequestration commonly causes symptoms in which a piece of the nucleus now has exited the disc and is pressing on a nerve. This commonly requires intervention. Also called “bone spurs”. Osteophytes are bony changes that occur with natural aging. 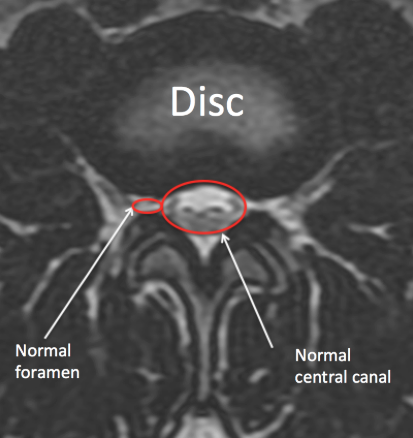 They are commonly associated with other findings such as disc bulges. The bony edges that attach to the discs can enlarge as the discs bulge and may or may not compress the nerves. 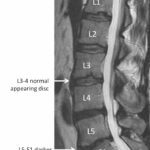 Just as with disc bulges, these are very common and not typically a cause of symptoms in the lumbar spine. The ligamentum flavum is a tissue just behind the nerve sac. As we age, this ligament can get bigger or hypertrophy. Depending on how much is enlarges, it could press on the nerves and potentially cause symptoms. 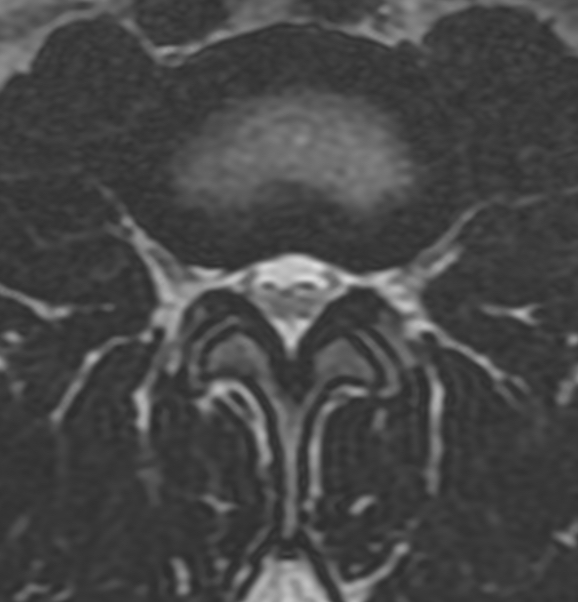 Usually, the ligamentum hypertrophies in combination with a disc bulge. The facets are the joints in the back that help the spine move. The spine is essentially a 3 legged table. The disc is the largest leg in the front. The two facets are the two back legs. As we age, the facets can become larger and may, or may not, press into the nerves. This may, or may not, cause pain in the legs or back. These two terms refer to bones slipping over one another. Everywhere in the spine the bones should be aligned. As we age, the ligaments holding the bones in place can loosen and allow the bones to slip. This can also occur from a fracture. In either case, this condition may or may not be symptomatic, however over time this condition commonly requires intervention. Red lines along back of bones match vs. red lines along back of bones do not match. Stenosis refers to a situation in which a space is made smaller. It’s a very general term. The central canal where the nerves reside within the spine can become smaller, causing central stenosis. 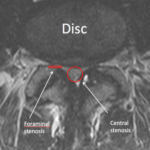 The foramen where the nerves exit the spine can become smaller, causing foraminal stenosis. Any thing from a disc bulge to an osteophyte to ligamentum hypertrophy to facet hypertrophy to spondylolisthesis can cause central or foraminal stenosis. Whether or not this causes symptoms depends on the degree of stenosis and if the stenosis is causing inflammation of the nerves. 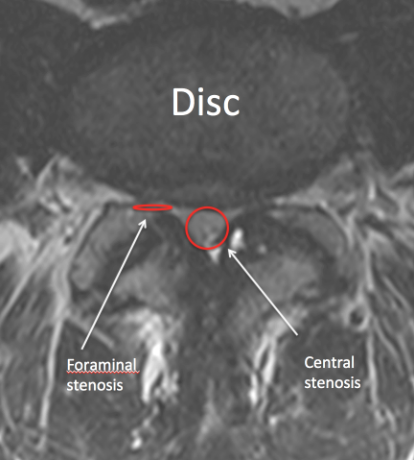 Surprisingly, severe central or foraminal stenosis can be asymptomatic. In summary, the MRI findings do not determine whether or not symptoms are occuring. A person’s MRI can appear fairly normal and they can be in terrible pain. 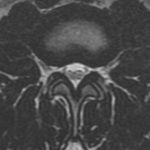 On the other hand a person can be asymptomatic with an MRI showing awful disc extrusions, hypertrophies and spondylolisthesis. 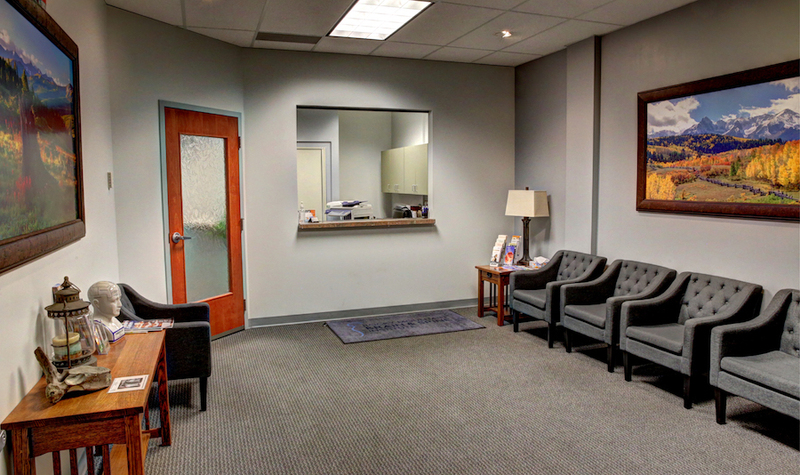 The way we accurately treat patients is by correlating their symptoms to specific changes in their MRI. It is imperative that the patient understands the cause of their symptoms and the treatment options. If you have an MRI showing changes, it is recommended you meet with a spine specialist to see if these changes can explain your symptoms.